If you’re a parent, please watch this video! There are some posts that I’m more passionate about because of the potential impact. This is one of them. 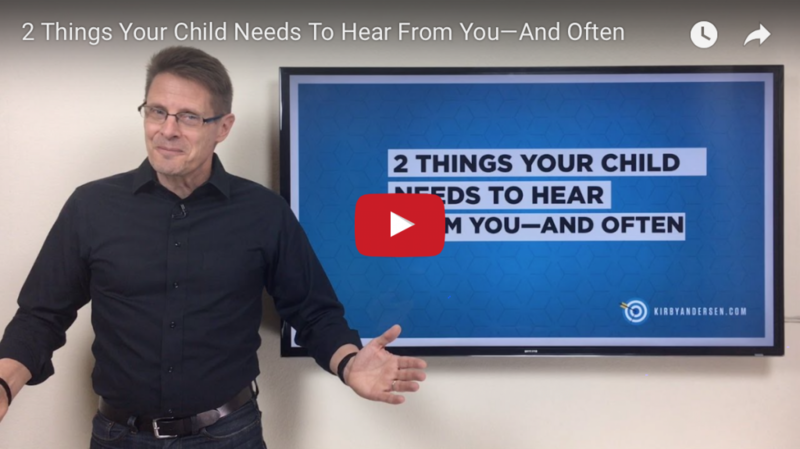 Take just 8 minutes and watch…2 Things Your Child Needs To Hear From You—And Often. You may be good at this already. If so, keep it up! It matters. If you didn’t hear these things much in your home, you wish you would have. Make sure you’re kids don’t grow up without hearing them. Click here to watch the video for this updated blog post. Share it with other parents. And let me know if it strengthens your resolve to say these things to your kids more often.